Online Application Details for Oriental Bank of Commerce OBC Recruitment of 4 Faculty and 5 Office Assistant is given below. 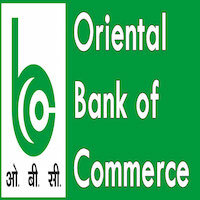 Candidate's minimum education qualification for the Vacancies in Oriental Bank of Commerce OBC should be 10th, MA / M.Com. / M.Sc. / MSW, B.Com. / BA / B.Sc. Application form and duly attested documents are to be sent to relevant OBC RSETI. In envelope super scribed with 'Application for the Post of Post Name'.